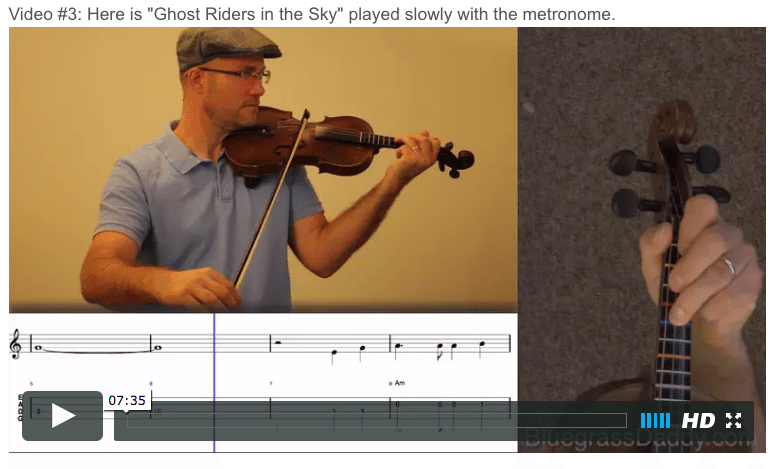 This is an online fiddle lesson for the country song "Ghost Riders in the Sky." 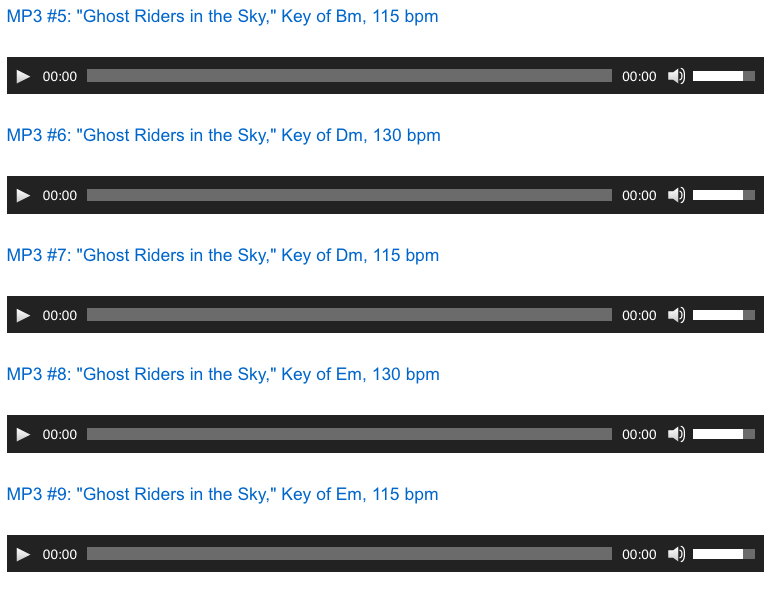 Video #1: Here is a video of me playing the country song "Ghost Riders in the Sky." 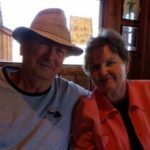 " cytotec 200 mcg without prescription propecia msd order (Ghost) Riders in the Sky: A Cowboy Legend" is a cowboy-styled country/western song written in 1948 by American songwriter Stan Jones. 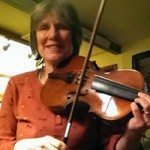 The tune sounds similar to "Spancil Hill" (traditional Irish folk song by Michael Considine, Irish emigrant to the United States in the 1870s). A number of versions were crossover hits on the pop charts in 1949, the most successful being by Vaughn Monroe. Members of the Western Writers of America chose it as one of the Top 100 Western songs of all time. 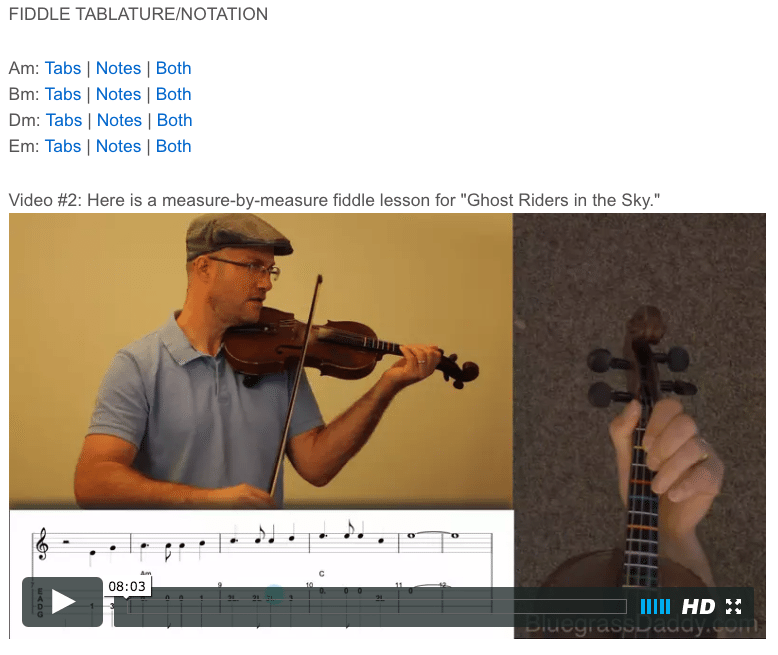 Posted in Beginner, Country, Western	Tagged with: "Ghost Riders in the Sky" "country fiddle lesson" "Johnny Cash" "online fiddle lesson" "bluegrass fiddle lesson" "Stan Jones" "BluegrassDaddy" "John Cockman"
This topic contains 11 replies, has 7 voices, and was last updated by John Cockman 2 years ago. John, when I was 20 yrs. old I moved to Western South Dakota & it was real cowboy country. I knew old timers that lived in the 1800’s, who talked about seeing ghost riders and they were in the sky. The term ghost riders was a common name among those old people, and everyone knew what it meant. Of course it wasn’t the hollywood type with eyes of fire etc. but more like actual riders. It could be explained by mirages. There are numerous, credible accounts of mirages that appeared in the sky out there. It’s possible, with the incredibly dry, clear air, that years ago the pollutants we have now didn’t exist, and that could account for mirages being common. Or, who knows, maybe it was something very other dimensional! But, whatever, the ghost riders were credible and a part of the culture back then, and if those old people could hear this song, they would sit up and pay attention! Great Halloween lesson, John! Rodger, I think you’re our resident cowboy! Thanks. My dad tried to play guitar at one time in his life. This was the song he worked on. Thanks for the lesson John! Have always loved this piece and will now make an attempt to play it. Quite beautiful and includes some good advice too. Thank you for providing it to us. It’s fun to play! I tabbed it in four different keys to match different vocal ranges. Rodger, if you can ever find time away from your work, I think you should write an autobiographical book. At least, turn the recorder on and start speaking these memories. Thanks for this lesson, and especially the different keys. I’ve always likes this song and listening to the group “Riders in the Sky” play it. That is my favorite version, too! Great lesson! Great song! 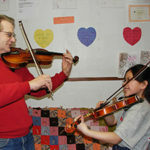 Great fiddlin’! Great voice! Great hat! Haha thanks GS. I really am enjoying this hat! 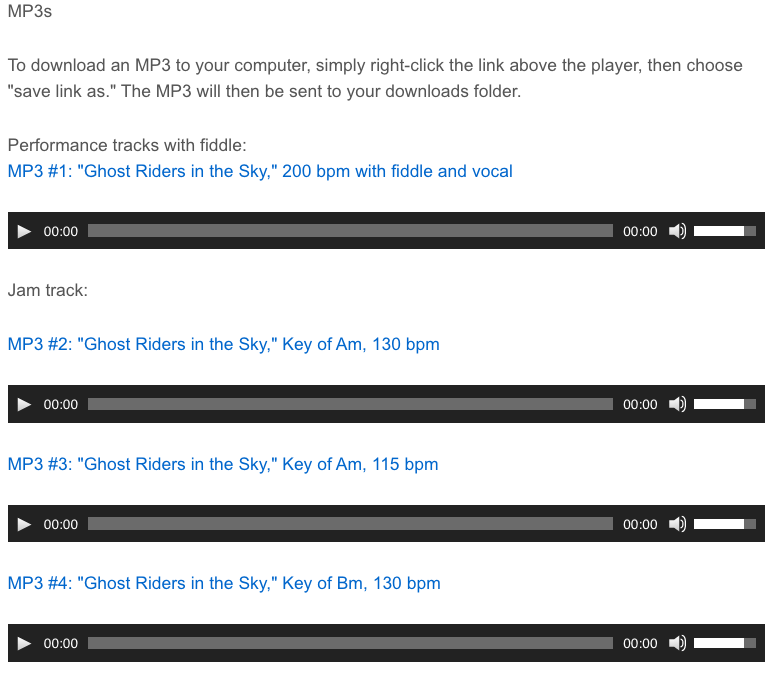 Got Ghost Riders into my practice and totally LOVE IT! Seem to recall getting shivers the first time that I heard it and it still has that effect on me somewhat. Will fit this one in frequently and sure appreciate getting the words too Have tried to increase my practice time to about at least an hour a day and am very pleasantly surprised. You have a splendid site, sir! Thank you! Glad this one made it into your routine. It is a fun song!